Motorists have been warned to avoid several routes around noon in Johannesburg amid mama Winnie’s funeral procession. 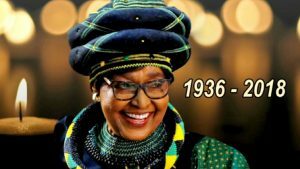 A heavy motorcade is expected to leave Soweto around midday to lay the struggle stalwart in her final resting place in Fourways, north of Johannesburg. From there the funeral procession will take a private route to the Fourways Memorial Park. The post Road closures expected for Mam Winnie’s funeral appeared first on SABC News – Breaking news, special reports, world, business, sport coverage of all South African current events. Africa's news leader..